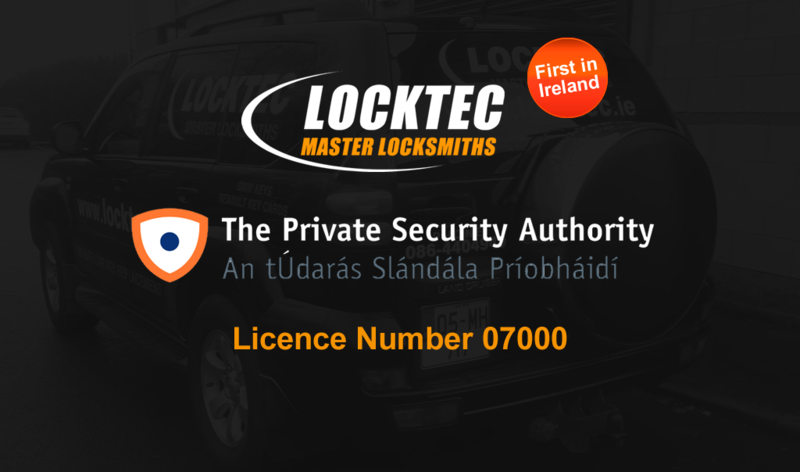 Just a quick announcement to say that we Locktec Locksmiths are now proudly PSA Licensed (No: 07000) and are the first Locksmith company in Ireland to be so. Been PSA Licensed states to you the consumer that we have been regulated to ensure that the interests of you are fully protected through the establishment, promotion, monitoring and enforcement of appropriate standards. In applying standards to the regulation of the security industry, the PSA aims to ensure that consumer interests are at the forefront of service provision. For you the customer its all about trust when dealing with security situations, especially locksmiths. This is why the PSA is so important. You need to feel confident and comfortable that the locksmith your letting into your home or business to cut your key, change your lock or give security advice is of a government standard. This is why when choosing a locksmith make sure they are always PSA licensed. – The controlling and supervising of persons providing security services and maintaining and improving standards in the provision of those services. – Specifying standards to be observed in the provision of security services. – Specifying qualifications or requirements for the granting of licences.